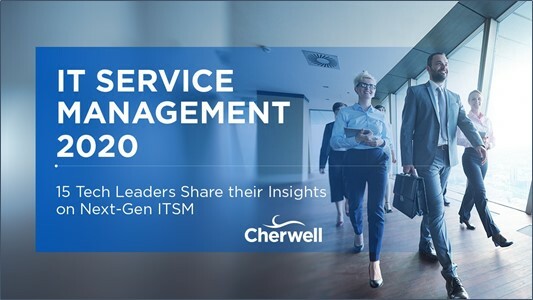 Cherwell Software, a leading IT Service Management (ITSM) company in the United States, is dedicated to helping their customers use intuitive technology to enable better, faster and more affordable innovation through their services and products. 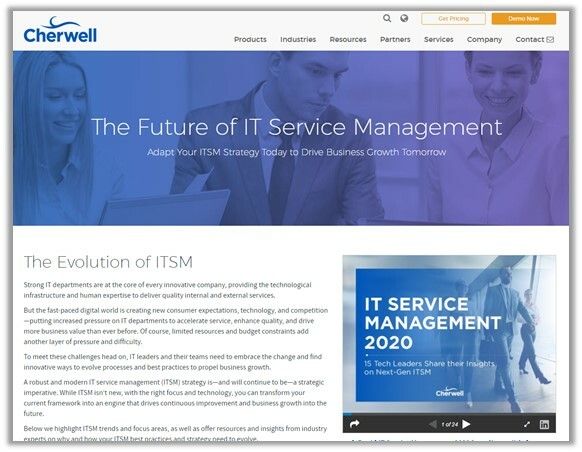 Cherwell’s ITSM software has been rapidly gaining traction in the IT service management space, with explosive year-over-year growth since the company launched its first product ten years ago. 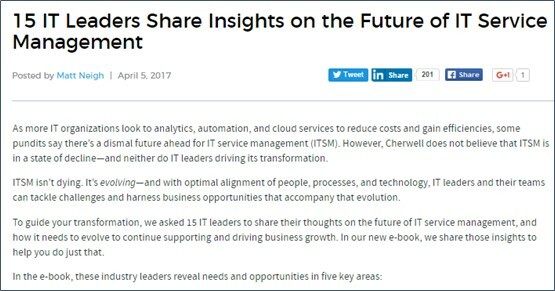 Along with the company’s rapid growth came a desire to expand its marketing channels to increase brand awareness and engage a vast network of IT influencers through the development of engaging and valuable content. 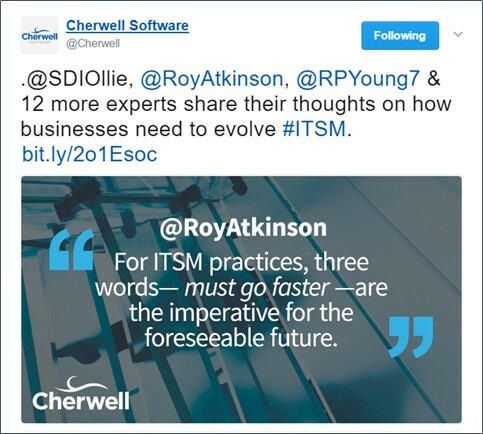 TopRank Marketing was excited to partner with Cherwell to increase brand visibility and thought leadership in the ITSM space. 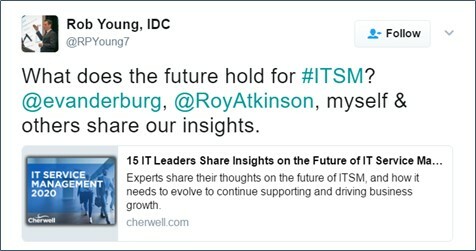 The strategy included an integrated content campaign, incorporating industry influencers, in order to extend the reach and build credibility for the brand quickly. 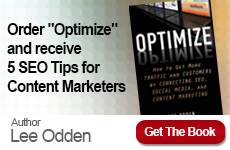 In order to guide strategy for the content campaign, research was conducted to help identify the right influencers, content topics, content types and amplification platforms. Using this research, the influencers were chosen and the outreach messages were personalized to connect to the contributor and encourage participation. All of these content assets worked in tandem to reach audiences in a way that they could consume and relate to the information. The assets for the campaign were rolled out in three phases. Testimonial: Not only did this program meet the defined goals and objectives, but the results and process exceeded my expectations! 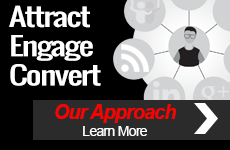 TopRank Marketing was truly an invaluable partner to have throughout the entire process. They have a talented and dedicated team and we cannot wait to partner with them again on future campaigns.